As a medical oncologist, I see patients who endure physical and emotional stress caused by cancer. While working to eradicate the cancer, I always take into account the condition of the body and mind. From the time of diagnosis to after completion of treatment, psychosocial support is always recommended for the patient, their family members, and caregivers. One of the most valuable resources in our community for cancer patients and their families is the Cancer Support Community in Walnut Creek. For over 15 years, my colleagues at Diablo Valley Oncology and I have referred our patients, friends, and loved ones to them. The Cancer Support Community provides services free of charge that include counseling, support groups, nutrition, exercise, patient education programs and much more. In 2016 so far, over 2,200 patients and their families have made 22,000 visits to Cancer Support Community. Through their programs, they enable cancer patients to achieve an improved quality of life. All of their programs and services are evidence-based to positively impact cancer treatment outcomes and/or immune system functioning, and are delivered by professionals who are licensed or certified in their area of expertise. As the year draws to a close, many people embrace the spirit of giving by making tax-deductible contributions to nonprofit organizations and charities. Please consider making a year-end gift to the Cancer Support Community annual appeal, “Campaign for Hope.” All funds raised will help this organization continue to provide valuable programs and services to our local community. 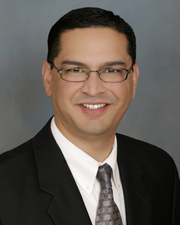 Dr. Johl is a board certified medical oncologist and hematologist with Diablo Valley Oncology & Hematology Medical Group and serves on the board of directors for the Cancer Support Community. To learn more about Dr. Johl and Diablo Valley Oncology, visit www.dvohmg.com. The Cancer Support Community can be reached at 925-933-0107 or www.cancersupport.net. Please plan to attend a Holiday Boutique & Fundraiser sponsored by Diablo Valley Oncology in Pleasant Hill on December 9, 1-4pm. Vendors include Sloat Garden Center, Amphora Olive Oil, Chloe + Isabel and Beauty Counter, and all donate a portion of their sales to the Cancer Support Community. For more information, call 925-677-5041.